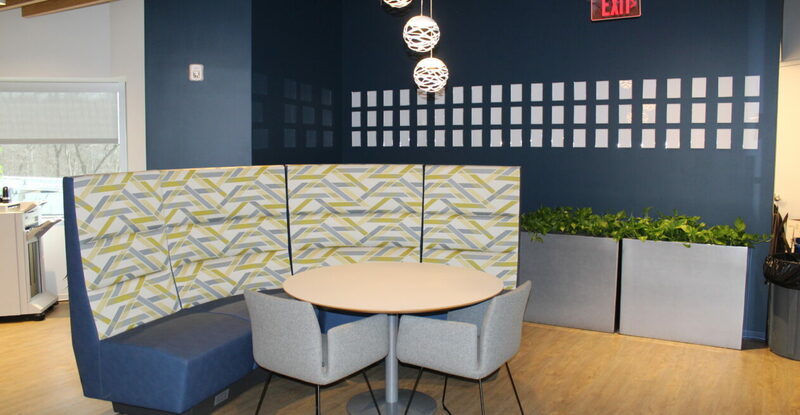 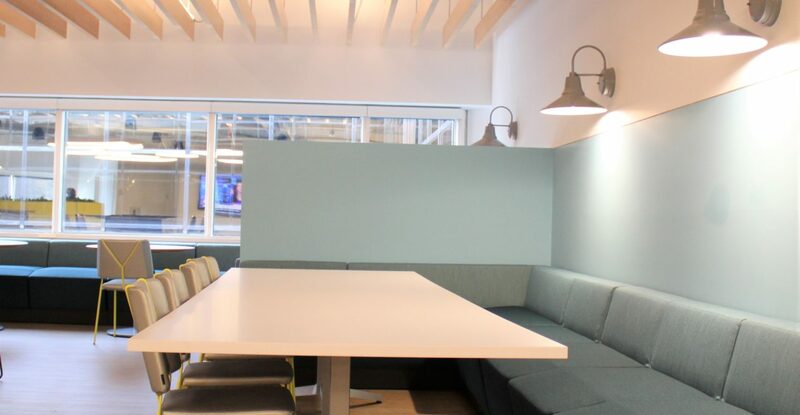 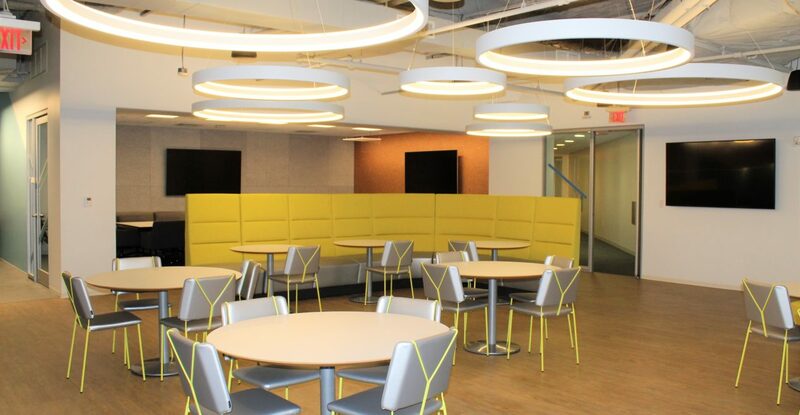 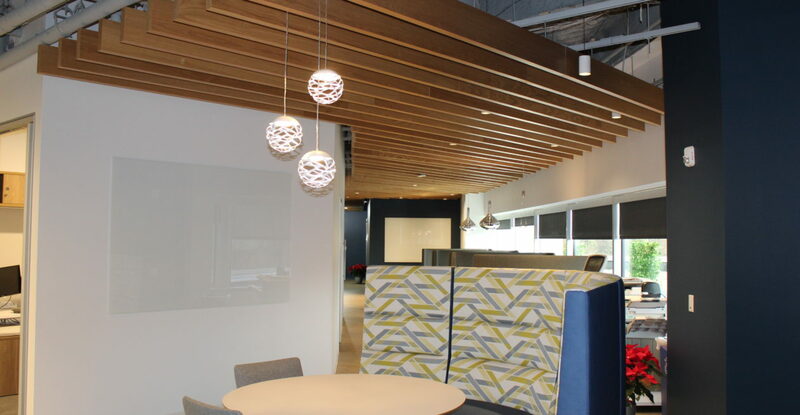 Complete interior renovation including exposed ceilings, acoustical ceiling clouds, exposed ductwork and pendant light fixtures throughout the open office space. 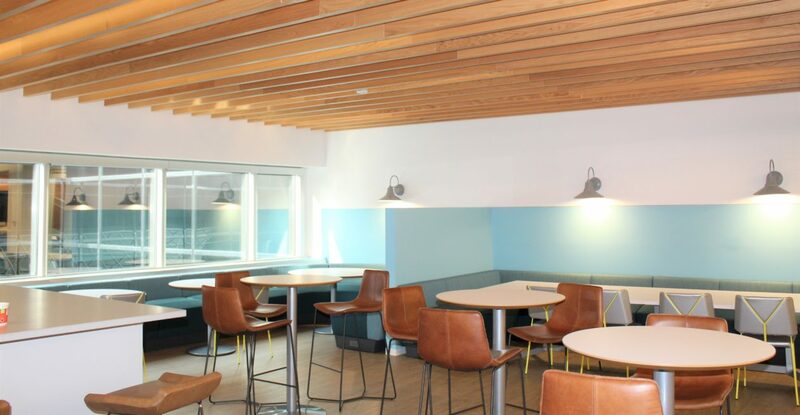 The large kitchen/collaborative pantry is highlighted with wood beams suspended from the deck above, solid surface countertops and a large millwork island. 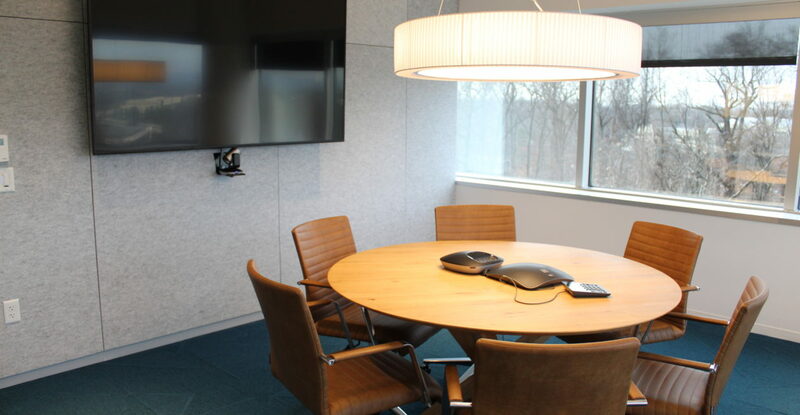 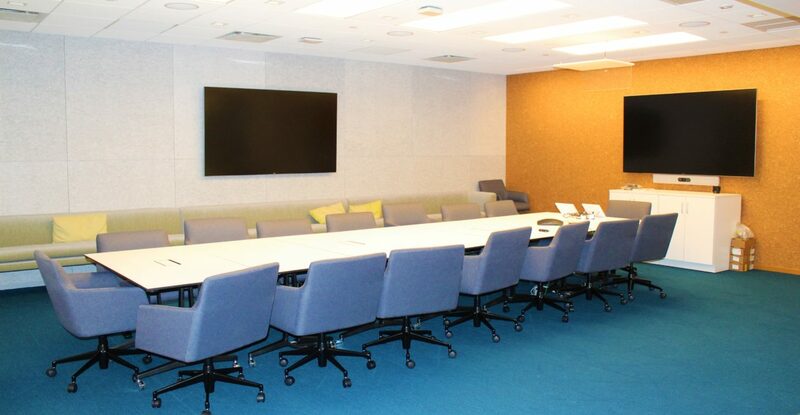 Demountable glass partitions were installed in all offices and conference rooms.